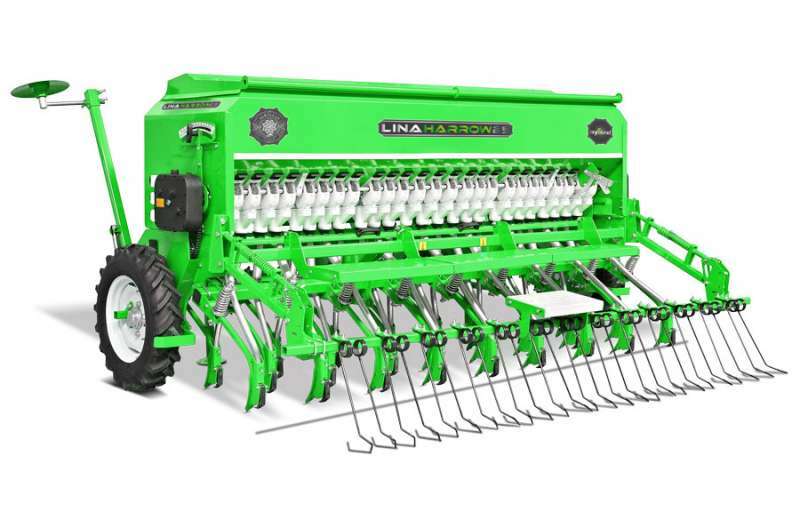 Lina Mechanical Seeder Harrow Tine is sowing machine which can distribute the seed and fertilizers in the desired depth and equidistantly. 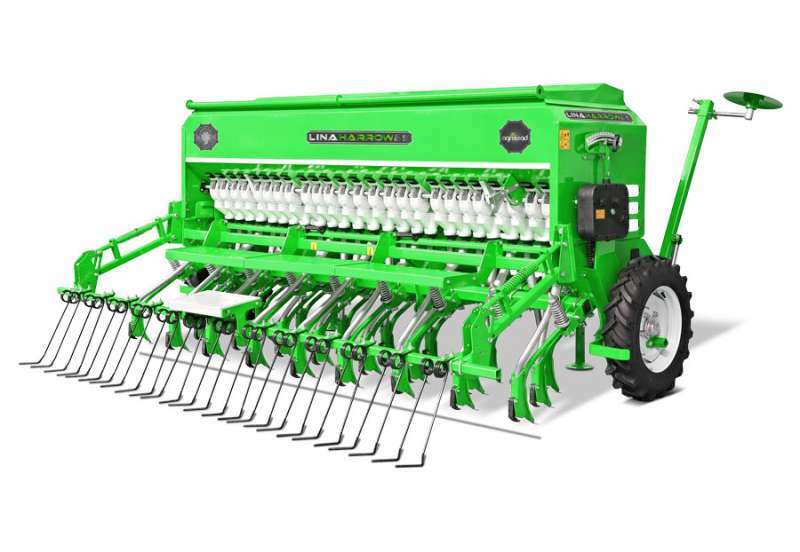 It can function on flat and sloppy fields thanks to its’ horrow tines. 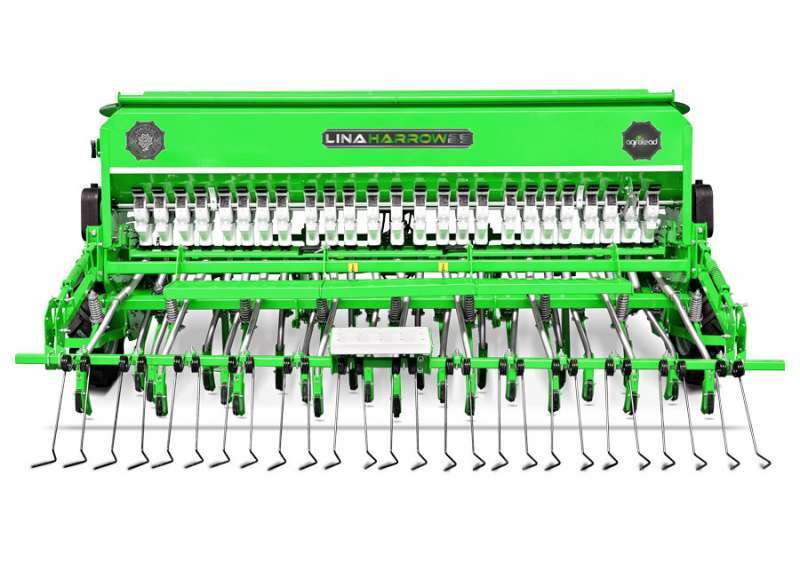 Those harrow tines on the machine are designed in 3 rows and planned to plant in three-serial lanes. Thanks to its’ automatic and hydraulic tracking system which is presented as a standard, the comfort and continuity that are provided to the users. By means of its’ specially designed quietly functioning gearbox with three cam lobs, the gear ring for the seeds may rotate in slow speed and it can plant even the very tiny seeds regularly. 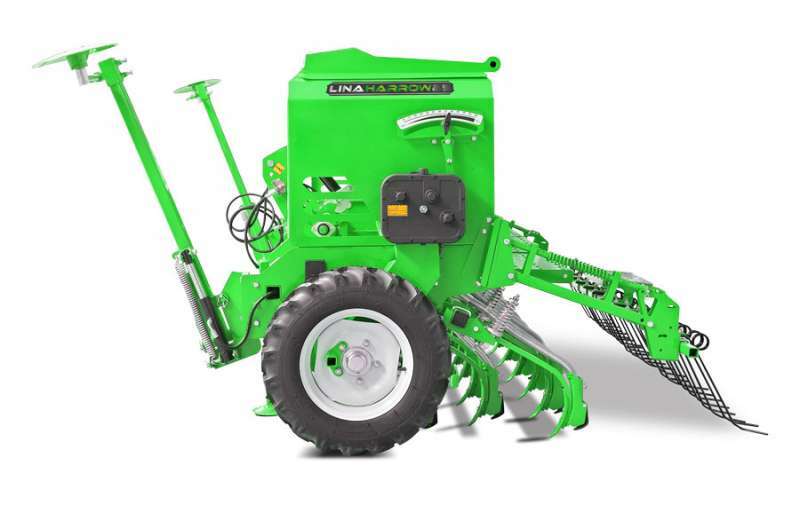 Machines are produced as 21,25,29 and 33 tines which has 120 mm interval spacing. Through the rake behing the machine, grading of the soil and covering the seeds over can easily carried out.